Avery Bieber spent her summer playing soccer, basketball and traveling. A devout Christian, Bieber went on mission trips, often carrying or lifting heavy packages. The stress fracture on her spine could have occurred doing any of those summer-related activities. Maybe it was a combination of all three. Whatever the case, Bieber has been battling pain, sometimes intense, ever since. But the gutsy Warrior Run senior also has not missed a game. Bieber played the entire soccer season and has helped the basketball team reach new heights this winter. Her back hurts, but Bieber is enjoying the ride and not regretting a thing. Her final scholastic campaign has become a memorable one and nights like the one she experienced last Tuesday make this painful journey an enjoyable one. Warrior Run captured the HAC-II championship Tuesday at Lewisburg, winning 39-33. The Defenders (16-6) won their first league title since 1988 when Bieber’s aunt Lynette Bieber played. Many wrote off the Defenders before the season began after they graduated league and area all-star Megan Zimmerman and even more did so following a 1-3 start. But Warrior Run blocked out the outside noise, kept improving and finished league play 9-1. The Defenders have won 14 of their last 17 games, will play in next week’s Heartland Conference Tournament and likely will be the No. 2 seed for the District 4 Class AAA playoffs. And one better believe there is no way any of this happens without Bieber setting an example and being one of the district’s toughest players. Bieber does not show up in the scoring leaders, but no stat measures what she gives Warrior Run. The Defenders feature one of the district’s best defenses and Bieber is at the heart of that. She hits the boards hard, sees the court well and makes things happen inside. Bieber also is an excellent leader who often plays her best in the biggest moments. That was evident against Lewisburg when Bieber grabbed three key late rebounds, made three free throws in the last minute and blocked four shots. Watch Bieber play and no one can tell that she is battling through such pain. The court has become Bieber’s refuge. The only time she forgets about her back injury is when she is playing. She loses herself in the game and is bringing the best out of herself and her teammates. What Bieber is doing helps not just Warrior Run now but moving forward as well. Younger players watch Bieber soldier on and cannot help but work hard themselves. She is showing them what can be overcome and what can be achieved. The championship is nice but the example she has set, is the most important legacy Bieber will leave behind. And Bieber has drawn a picture that any artist could embrace. While Loyalsock features a dangerous and balanced offense, defense has really becoming its calling card. The HAC-III champions produced their first 20-win regular season since 2008 and a consistent, stingy defense has been the driving force. That was especially apparent last week as Loyalsock allowed just 34 points per game in three victories against defending District 4 Class AA champion Southern Columbia, Lewisburg and Montoursville. The Lancers feature talented athletes, but they also are intelligent and can quickly adjust. Loyalsock trailed Southern, 24-20, at halftime but defense sparked a comeback and it allowed just 19 second-half points. The entire time that defense resembled a chameleon. Loyalsock has turned its defense up after losing 10 days ago to state power Dunmore. The Lancers learned from their first defeat last December, winning 10 straight games and the latest loss also is providing a list. Loyalsock did not lick its collective wounds following the Dunmore game. It simply went back to work, tweaked some things and came back playing better. “I credit the Dunmore game. Dunmore put us in some situations that we didn’t like, but we know if we run into another really good team we have to fix what you’re doing wrong,” Jacobson said. “We didn’t go back to the drawing board but we made some changes to our defense. Wednesday night we put in two new halfcourt defenses. We spent 10-15 minutes running them and then used them Thursday so our defensive playbook is getting bigger. Sullivan County captured its third straight Mid-Penn championship, winning three must-win games last week and defeating Millville, 61-51 Friday to clinch it. The Griffins have come so far from where they were a few years ago and have gone 39-3 in league play the past three seasons … Wellsboro clinched a share of its second straight NTL-I championship, winning three league games in three days. The Green Hornets (12-9) have won 12 of their last 17 games and Jena Boyce and Emma Poirier combined for 13 assists in the title-clinching win against Williamson. Heidi Zuchowski added nine rebounds … Montgomery (11-9) is playoff-bound after defeating St. John Neumann, 44-28. The Red Raiders have come a long way, making a six-win improvement from last year. The JV team is 13-6, so it appears Montgomery is building a nice foundation. Nita Imeri had eight points and seven rebounds against Neumann, while freshman Faith Persing added six points and three assists off the bench … St. John Neumann senior Abby Henderson has enjoyed a strong senior season and put together a monster performance in a 44-27 win at Bucktail. Henderson scored 17 points, grabbed 26 rebounds and blocked six shots. Anne Weller added 10 points and 12 rebounds … Canton (9-11) is making a strong Class AA playoff push and fueled it with two big wins against North Penn-Mansfield which had entered the week tied for first in the NTL-II. The Warriors allowed just 60 points in those victories against a 14-win team as Tamara Hess, Elle Binford and Hailey Wesneski all delivered strong games … Cowanesque Valley (8-12) is making it quite a battle for that last berth in AA and also recorded key wins, beating playoff-bound Northeast Bradford twice as well as North Penn-Liberty when Karmen Short scored a career-high 23 points … Hughesville (10-10) is playing stifling defense and has held three straight teams to fewer than 30 points. King was outstanding in a week guard Mykenzie Malacusky scored her 1,000th career point and helped Sullivan County capture another league title. King has an area-high 10 double-doubles and averaged 15.7 points and 14.7 rebounds last week. She was outstanding against potential playoff opponent Millville, scoring 18 points and grabbing 21 rebounds. Whaley scored 49 points in wins against Central Mountain and Jersey Shore and was sensational late in Saturday’s dramatic win. Whaley scored five points in the last 9.9 seconds, hitting a buzzer-beating 3-pointer that forced overtime and then making the game-winning free throws once there. She scored 20 points against Central Mountain before going for 29 points, eight rebounds, five steals and four assists against Jersey Shore. Since the HAC Tournament matchups were unknown entering Monday’s games, Wednesday’s showdown between teams that have 27 combined wins earns the spot. This game could help both teams as they prepare for the postseason and features two of the area’s premier guards in Malacusky and Mansfield point guard JoAnne McNamara. 1. Loyalsock (20-2): The Lancers are seeking their second straight HAC Tournament championship, but still do not know who they will play in Wednesday’s semifinals. HAC-I champion Danville and Warrior Run have clinched berths, but the final spot comes down to Mifflinburg and Southern Columbia. 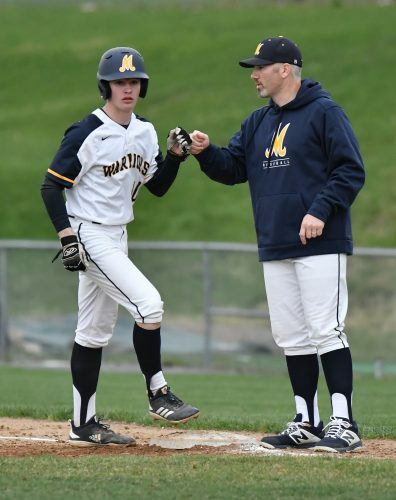 Mifflinburg will share the HAC-I title with Danville and play Loyalsock if it defeats Jersey Shore in its final league game Tuesday. If Jersey Shore wins, then Southern advances and Loyalsock will face Warrior Run. Weather, however, is looking bad for Tuesday so chaos could ensue leaving all the participants wondering until the last minute. 2. South Williamsport (12-8): All eight South losses came in the HAC-III, driving home how stacked that league has been for a second straight season. The Mounties made a statement Friday, playing without leading scorer Megan Weber, and defeating HAC-II champion Warrior Run, 41-32. Last year’s District 4 Class AA finalist showed how dangerous playing in the HAC-III makes it as the defense shined and multiple players made big plays. Junior guard Sydney Bachman moved into the starting lineup and was outstanding, scoring nine points in 32 minutes while helping in all other areas. Julie Anthony and Haley Neidig also played all 32 minutes and skillfully handled Warrior Run’s pressure defense. The Mounties have eclipsed last year’s win total and Friday’s win could provide a big springboard as the playoffs approach. 3. Warrior Run (16-6): Despite the South loss, it has been quite a season for Warrior Run which has won 16 games for the first time since 2014. The Defenders likely will be the No. 2 seed for the District 4 Class AAA playoffs and are receiving a nice boost from Emily McKee. The freshman has shined in her debut season, coming up with big late rebounds against Lewisburg and scoring 14 points in a 60-21 win at St. John Neumann. 4. Lewisburg (13-8): The Green Dragons capped a busy four-game week with some sensational defense, defeating Hughesville, 24-12. Lewisburg took a big step toward securing a first-round District 4 Class AAA playoff game. The night before, it made a nice comeback against HAC-I champion Danville as Grace Kelleher scored 20 points, dealt seven assists and added five rebounds. 5. Williamsport (10-9): Down by five with 9.9 seconds remaining against Jersey Shore last Saturday, the Millionaires came roaring back and won a 63-60 overtime thriller. 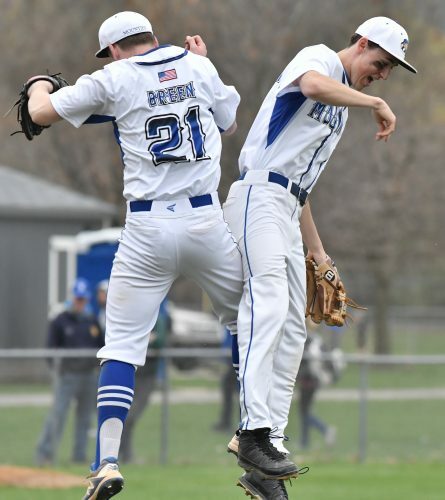 Williamsport has won four of its last five games and the way it won that Jersey Shore game against long odds speaks to the program’s resurgence. The Millionaires have made a four-win improvement from last season and are closing in on the No. 2 seed for the District 2-4 Class 6A playoffs. Williamsport is seeking its first playoff win since 2011 and the way it won Saturday could help a lot.